PCI, HIPAA complaint secure hosting with full redundancy and international coverage. We might build technology robots for a living, but we're human... just like you. Arizona's #1 managed services and software engineering group. We build and host Internet solutions for corporate, government, healthcare, academia and small/medium businesses. Edgeneering LLC is a Phoenix, Arizona based technology company specializing in Data center hosting, Internet, Web, Blockchain, Mobile and Embedded Hardware Development. We provide high security data center hosting and managed services for clients that are looking to partner with us for their web development. eCommerce, mobile, blockchain and hardware development needs. Edgeneering develop web applications and host them in our own data centers world-wide. Edgeneering are the cutting edge of software engineering talent. Please read on below to see how we can help you. In today's world, software and systems are the lifeblood of your organization. If you don't have the best and smartest systems, you are not competitive and efficient. That means less opportunities, and higher operating costs. Organizations have learned the hard way about putting their systems as lower priorities in their business and many are not around anymore to tell the tale. Enterprises need to be able to handle the challenges of an international market, distributed workforce and far greater customer base. Everyone wants access to data anywhere at anytime. The secret is "cloud computing" where you no longer have to be limited by only the IT technology you can have internally. But few organizations have or are willing to build their own data centers, deal with the day to day operational maintenance and most importantly understand and can proactively handle cyber security. The common approach is to partner with an external organization to fill this void. Its one thing to have the resources to put your systems in "the cloud". But many organizations have legacy systems or have new challenges in which they don't have software applications developed yet to meet those needs. And if the today's world requires that your applications reside in the cloud, then they often have to be re-written to achieve this. The days of workgroup computing applications with client/server networks are behind us. Now all applications typically have to be web or mobile interfaced and hosted in data centers best suited for those types of applications. The skillset required for engineering software for this world is very different to the past and needs a team of skilled designers & developers. Hosted web sites are not going to cut it. Sure, its great to have a 'killer website' but that's not going to support the business transaction processing needs of today's economy. At the same time, a dysfunctional, poorly designed and ugly web application isn't going to work either. There has to be balance between functionality and aesthetic. Your engineering team needs to embrace both disciplines. But like all software engineering projects, the key to success is having a solid understanding of the fundamentals of engineering. From feasibility studies, requirements gathering & analysis, system design, development, testing and production migration. If any step is missed, the project won't succeed. We are a 'boutique' organization that focuses on solutions rather than just selling you resources from a menu. Our goal is to develop long term relationships with our clients that last decades and to be their external systems team that they can rely on for their initial and changing needs in the future. We've been doing this for a very long time and were one of the very first organizations in Arizona to embrace the cloud and offer these services. Whether you are a corporation, government organization, academic institution, small or medium business, etc. we can help. Our team provides you with the ability to extend your capabilities by leveraging our resources of the smartest systems architects, analysts, data modelers and engineers available, with the high end & secure data centers designed for the most demanding customers. Whether it be moving an old application from the realm of PCs and client/server computing to the web, or embracing mobile technologies, or expanding your ability to transact with your customers, staff or business partners over the Internet, Edgeneering can offer you the edge you are looking for. And right here at home in the USA. Edgeneering have been doing this for a long time. 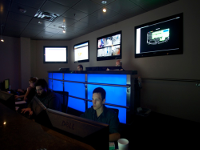 We were one of the first technology organizations in Arizona to embrace the cloud, even before it had a name. We herald from decades of history building some of the most successful software projects for organizations worldwide and for general sale to the market. Our founders started with computing back in the 1970s and have seen the technology revolution from the invention of personal computers, to networks, graphical user interfaces, SQL databases, the Internet, and now mobile and cloud computing. We understand how to plan for the new waves of technology and actively participate in industry groups and development committees that help shape what that future will become. We keep great company - we are partners with such organizations as Google, Firebird, and many others. We want to be a part of the future and its important that we are sitting up front in the driver's seat so we can see where technology is going. We know that you want to use your systems anywhere, anytime and now on any device. We've built a framework of code that allows us to engineer a system quickly, with as much pre-tested technology so that you get to benefit from mature and time-tested solutions where possible. We don't try and re-invent the wheel, however we know that if you really want to unlock the potential of technology, you have to embrace new ways and new thinking. Our systems are designed for the future and run on PCs, mobile devices such as tablets, phones, watches, TV sets, cars, etc. But we also embrace technologies such as VoIP and phone offerings so you can give your customers automated systems to call for information that works with your databases. We integrate with other systems too, using industry standard Internet protocols to allow seamless and secure data transfers. We work with universally adopted technologies for reporting and data transfers so you can use your existing investment in knowledge but with our databases. Despite how you wish to transact and work with your systems, it all comes down to the data you are managing. This is our strength. Our data modelling skills use the latest in engineering techniques to ensure that we capture every element of data you need for your organization, and make it accessible how you need to have it. Whether that is part of day to day business transaction processing or business intelligence/decision support, or how you provide a portal to certain aspects of data to your customers, we can help. We only use the best in class for enterprise databases and know how to make databases with billions of rows of data execute searches in microseconds. We know how to deal with 'big data' needs but we also can deal with smaller, agile database requirements. The one thing we know is that although the functionality of systems have to change regularly to meet dynamic changes in business, data structures rarely change. So we go the extra mile to make sure that we model your organization's data requirements first to ensure that we really are building a database that will last you long into your future. That's how we have long term relationships with huge organizations, many of whom have been our customers for over 10 years. That's a bit about Edgeneering. Let us now learn about you. Drop us a line and we'd love to talk to you. We don't charge for initial consultations, so don't be afraid to reach out to us. But we'd also love you to browse our website and learn more about us. We hope to become an important part of your organization's success and we're ready when you are. 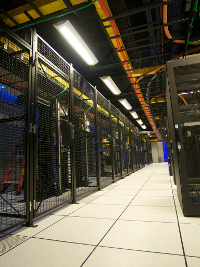 Data center operations in Phoenix, Arizona, Dallas, Texas and Iceland. eCommerce solutions based on our specialized EdgeCommerce framework, with support for all credit cards & Bitcoin/cryptocurrency payment forms. Fully PCI compliant. Big data experts. Hosted Applications developed with enterprise SQL database support. Blockchain experts with Ethereum, IPFS and Bitcoin based solutions. © Edgeneering LLC, All Rights Reserved.